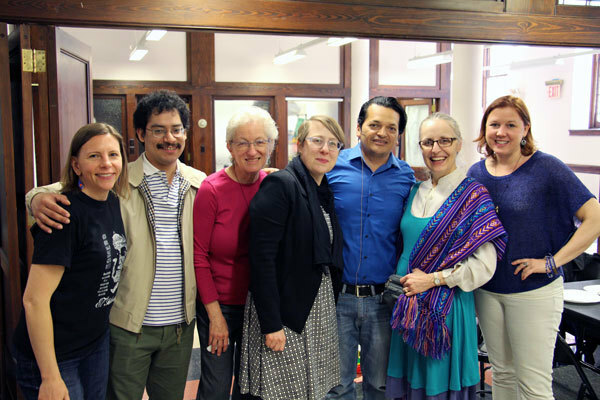 This Sunday we are celebrating our companionship with our sister church, Pueblo de Dios in Calderitas, El Salvador, and learning more about the work of the Lutheran Church in El Salvador. Pastor Christian Chavarría, the pastor of Pueblo de Dios and also a world-renowned artist, will be preaching in worship at 9am & 11am in English, and 12:30pm in Spanish, and sharing more about El Salvador at our 10:10am Sunday Conversation. Some members of our congregation have visited our sister church in El Salvador, and for them seeing Pastor Christian will be a happy reunion. If this is the first you've heard about our Equipo El Salvador ministry, or you're curious to learn more, read our full ministry highlight. May 6 | During the 10:10am Sunday Conversation in the community hall downstairs, join us in giving input for the Social Statement on Women and Justice for the Evangelical Lutheran Church in America (ELCA), our national church body. May 12 | On Saturday, May 12 at 10am, Her Justice will be at Advent to provide a family law workshop discussing rights to free legal services like Order of Protection, Child and Spousal Support, Custody and Visitation. May 13 | Mother's Day will be Bold Women of Faith Sunday at Advent! We'll have a lot of special things going on during and after worship, so mark your calendar and be sure to join us! We'll share more information this Sunday and in next week's e-letter. 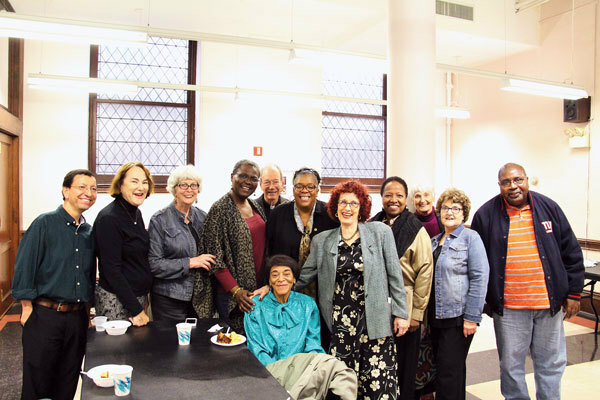 May 20 (Pentecost Sunday) | This time at 12:10pm, join us for second conversation giving input for the Social Statement on Women and Justice for the Evangelical Lutheran Church in America (ELCA), our national church body. We hope this time allows different people to participate, and also people who want to talk more after our May 6 conversation. Our new podcast is live! 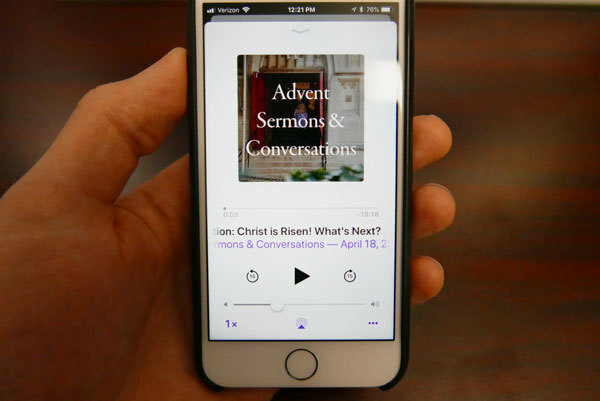 Start listening to our weekly sermons, and conversations with Advent members responding to the sermons, all downloadable and listenable on-the-go. Listen Now | Right now you can listen back on our sermons from Holy Week, and two Sundays in Lent, and hear conversations with Advent members discussing all of them. Weekly Goodness | By tapping subscribe, your podcast app will automatically update with our newest sermons & conversations every week, which you can listen to anywhere, anytime (even on the subway!). Opportunity for Outreach | By leaving us a positive review or sharing this podcast with your network, you can help the Gospel proclaimed here at Advent reach much further beyond our walls. *Tip: Note that you have to tap the little cloud/arrow download icon next to an episode to be able to listen to it on the subway. In August of last year, in a response to Charlottesville, we committed to talking more about and acting against modern-day racism in America. In our e-letter on August 21, 2017: "We, as Advent, commit ourselves to the long journey ahead. We pledge to not forget or fall away. It is our call as Christians to work for peace and justice throughout the world and that is what we will continue to do." In January this year, we began "Troubling the Water," a small group study meeting once-a-month on Tuesday evening, designed to confront and explore white privilege and institutionalized racism as it manifests today. Here is another opportunity. We understand that many want to do something too, but can't make Tuesday evenings because of work, school, and other commitment. It's hard. And we invite you to be part of our efforts as a community. 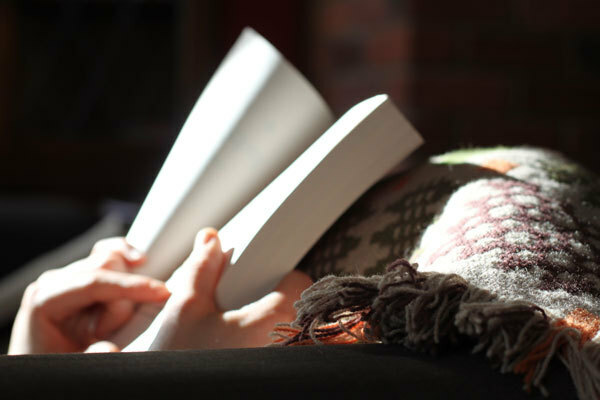 We invite you to read Between the World and Me by Ta-Nehisi Coates, and gather for discussion on Wednesday, May 2 at 7pm. We will also provide ways to respond and share online. Stay tuned. And if there is additional interest, another gathering time can be added. This will be the first book we read in our new Advent Advocacy Book Group, which will meet in person and be open to participation online over the summer. May we be emboldened as a faith community to persistently pursue justice, knowing inaction and silence in the presence of injustice in just another form of oppression. May we persistently pursue justice until the work is done, until your Kingdom is realized, O God. Amen. Done? Today’s gratitude check-in is about community. Being in community is not always easy, but it is life-giving and God-revealing. Take a moment today to pause and notice the people around you. Give thanks for the people you know and the ones you’ve yet to encounter.